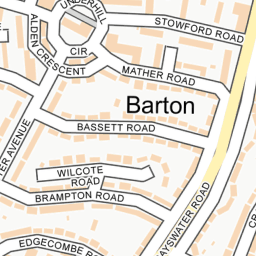 I am a Barton resident and I use the Green Road Roundabout daily. 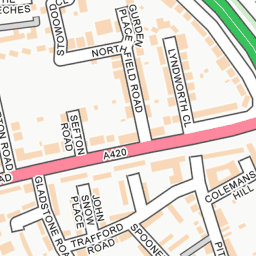 In doing so I (green arrow) often risk being hit by other vehicles wanting to take the A40(W) exit coming from the middle lane (red arrow). 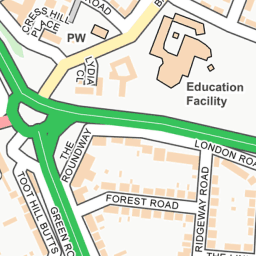 Based on the new road marking and signs, in order to exit at Bayswater and immediately turn onto North Way, cars ought to be in the leftmost lane when waiting at the London Road lights (green arrow). Drivers who want to proceed straight in Bayswater could also stop in the middle lane, then find themselves in the rightmost lane at the Bayswater exit (red arrow). 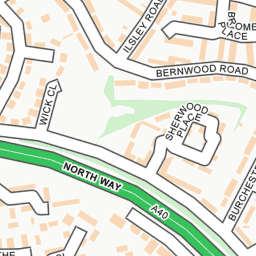 Google Earth (in the satellite picture) still shows the old marking in which drivers in the middle lane (red arrow) are allowed to take the A40(W) exit.